McALLEN — A former Rio Grande City school district superintendent filed a lawsuit against the state last week claiming they wrongfully stripped him of top administrative certificates. The lawsuit against the Texas Education Agency and Mike Morath, in his capacity of Texas commissioner of education, was filed Dec. 22, in Travis County, by Joel Trigo Jr.
Trigo received final notification of the revocation of his certificates of Mid-Management, Superintendent and Supervisor, in October 2017. This came after an investigation prompted by Trigo’s late disclosure to the State Board of Education Certification of two teachers who were fired due to inappropriate behavior with students, which if gone unreported would have allowed them to move on to other districts. “During the Defendant’s TEA investigation, Plaintiff (Trigo) cooperated with Defendant TEA and has never denied that he did not timely notify SBEC nor the educators before resignation,” the lawsuit states. 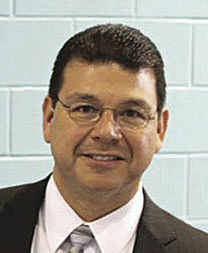 Trigo resigned as superintendent of Rio Grande City Consolidated Independent School District in May 2016, and the board of trustees named Alfredo Garcia interim-superintendent. Garcia was later given the permanent position. But the lawsuit argues that Trigo didn’t do this with ill intent, but due to lack of knowledge on the notification requirements. With 22 years in public education, Trigo was first appointed interim-superintendent for Rio Grande City school district in December 2014, and given the permanent position in February 2015. Shortly after being appointed the top leadership position for the school district, he was notified of allegations that a teacher, Margil Moreno, had kissed a student. Trigo placed Moreno under suspension pending an investigation and notified the school district’s police department of the allegations, then notified the Star County district attorney’s office, the lawsuit states. Child Protective Services was also notified by “The first person who heard the outcry,” according to the documents, but there is no indication of the identity of this person. Moreno was terminated in May 2015, but the notification to the State Board of Education Certification came not from the district but from a Starr County investigator. “Plaintiff’s actions were entirely unintentional as he was unaware of the SBEC notification requirements,” the documents state. After being made aware of the requirements Trigo reported another teacher, Victor Nava, who had previously been accused of thumping a student behind the head. Nava was not terminated, due to lack of supporting evidence, but he was moved instead to another school where he was later accused of making inappropriate comments on a student’s weight and was again suspended. Nava resigned from the district in December 2015. TEA’s original petition to revoke Trigo’s certificates came in April 2016, but a he wasn’t notified of a hearing until January 2017. It was then he filed his Answer and Affirmative Defenses pleading mistake of law, fraudulent inducement and substantial compliance with law due to having reported the incident to district police. “Staff contends that Mr. Trigo violated provisions of the Educator’s Code of Ethics and is unworthy to instruct or supervise the youth of this state because he failed to timely report the termination or resignation of two teachers,” TEA’s proposal for decision states. Trigo’s request for production of discovery documents by TEA to prove some of his allegations was also denied by the agency as well as protective orders for several witnesses called in to testify.